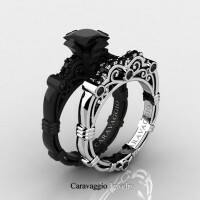 Affordable, elegant and stylish, Art Masters Caravaggio 14K Black and White Gold 1.25 Ct Princess Black and White Diamond Engagement Ring Wedding Band Set R623PS2-14KBWGDBD has a superior quality Caravaggio Jewelry pieces are known for. 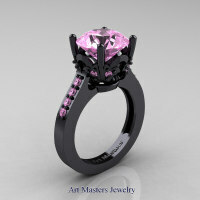 Flashy and tastefully designed for your special moment, this highly praised jewelry pieces are a sight to behold. 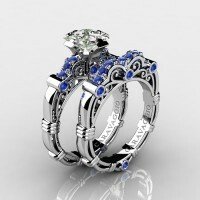 Additional $600 bridal set discount has been applied on this set. 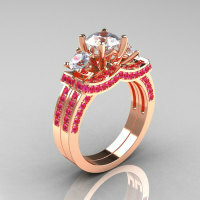 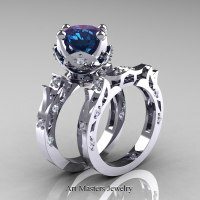 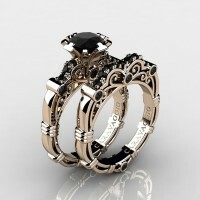 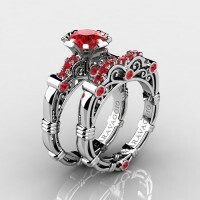 This ring set is a designer exclusive jewelry piece. Black gold (black rhodium coat on 14k solid white gold) will wear off in few weeks to few months making your ring look exquisite vintage. 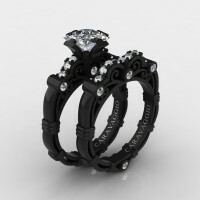 Black rhodium reapplication is not necessary, however if desired, we provide 2 year (2 time) free black rhodium reapplication on all designer black gold rings for our customers. 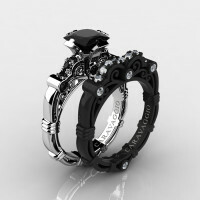 Be the first to review “Art Masters Caravaggio 14K Black and White Gold 1.25 Ct Princess Black and White Diamond Engagement Ring Wedding Band Set R623PS2-14KBWGDBD” Click here to cancel reply.